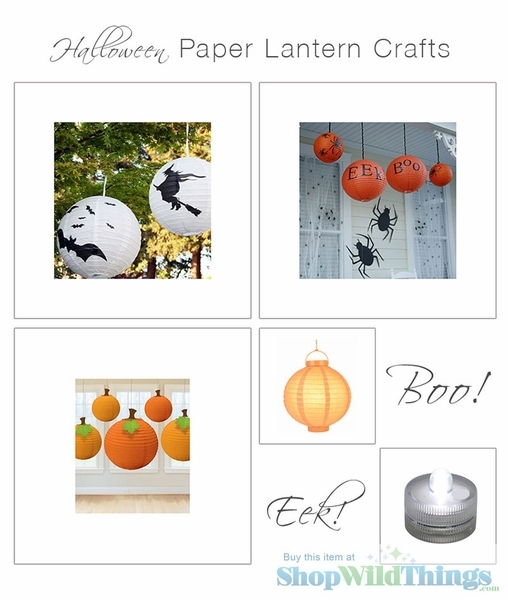 Home > Decor Photos & Ideas > Paper Lanterns make DIY Halloween Decor a Snap! Whether you've had enough of carving "live" pumpkins, or you're looking for a simple, DIY- and kid-friendly craft to do with the littles for Halloween, we've discovered a Halloween Decor trick that we know you'll want to add to your repertoire as the air turns crisp. 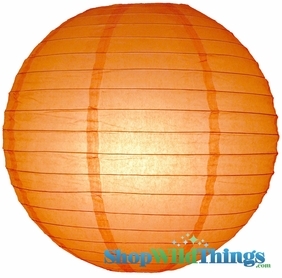 Paper lanterns + spray paint, stickers, decals, or vinyl = perfect Halloween Decor for your porch or party, whether your tastes run toward cozy, cutesy, or downright creepy. If you have a Silhouette, there's no end of Halloween designs that will translate well to vinyl and adhere easily to paper lanterns. If the Silhouette isn't your thing, you can print Halloween templates and use contact plastic or plain old glue to adhere construction or scrapbook paper cutouts to your lanterns. Just choose the sizes and colors for your Paper Lanterns, add your cutouts, and suspend them with jute twine, glitter tulle or even bead strands. And voila ~ instantly festive porch. 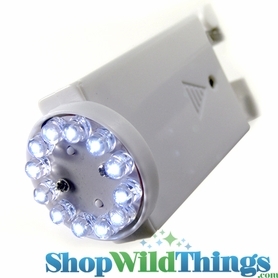 Whether you like your trick-or-treating atmosphere sweet or scare-worthy, LED Lighting inside your paper lanterns can take paper lanterns well into the evening. 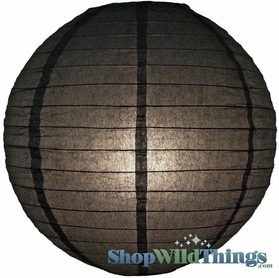 Vinyl or card stock cutouts in dark colors will create high contrast designs when the paper lanterns are lit from within, and you can even go with Remote Controlled LED Lights for a freaky effect on the neighborhood kids. We are kind of looking forward to "turning out the lights" as some of them knock on the door. Not that we would do that. But you tweens should really wear costumes if you want Snickers bars. Just sayin'. And to extend the life of your fall Decor, try mixing in some pumpkins that can hang around after Halloween. Simple stems and a leaf cut out of green card stock turn orange paper lanterns into adorable pumpkins. 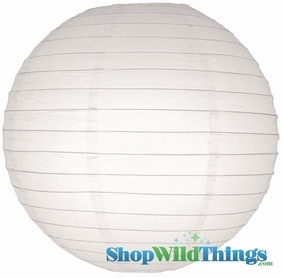 As with many of our Decor items, paper lanterns can be saved and reused from year to year, too. Just be sure that you only flatten the ones that don't have cutouts already applied. We'd love to see images of your fall and Halloween Decor, including the many fantabulous ways that we know you use paper lanterns to capture the holiday spirit on a budget.